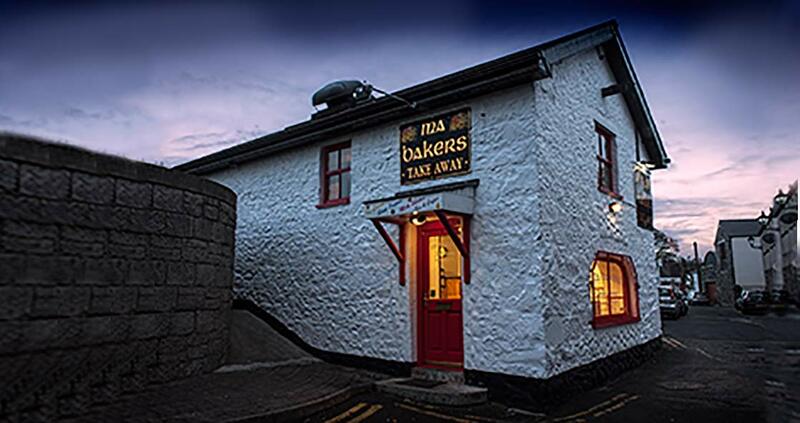 Ma Bakers Takeaway is renowned for its fresh cod and chicken burgers which are served with freshly homemade coleslaw, both real favourites with the locals. The food is available to take away or eat in the bar. The take away provides a delivery service 7 days a week and small parties can also be catered for.